This exhibit, which was made possible by the Tompkins County Public Library Foundation with grant support from the Community Arts Partnership of Tompkins County, opens on Friday, December 2, 2016 from 5:00 - 8:00 PM during Gallery Opening Night. 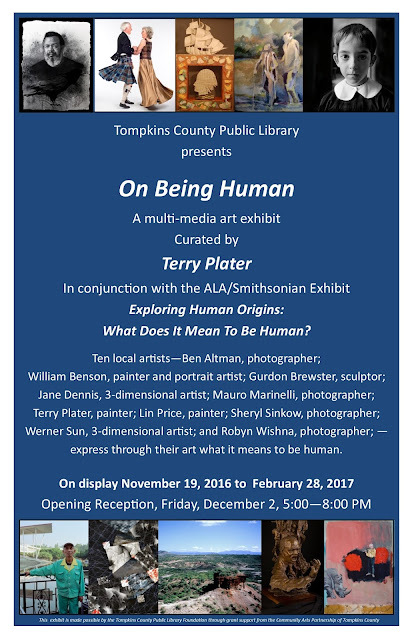 Refreshments will be served in the BorgWarner Room and the artists will be present to talk about their work and what being human means to them. 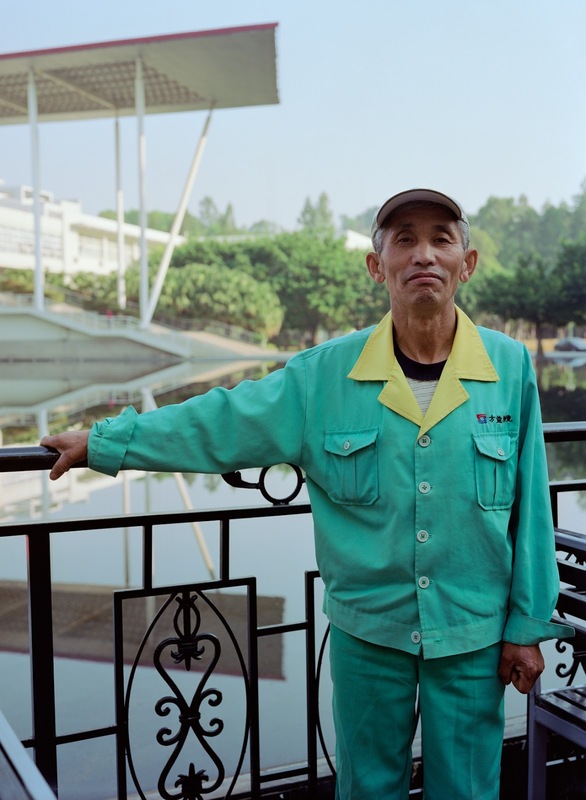 These images are from a series of photographs of (and interviews with) maintenance and other staff at a newly-built graduate school campus in Shenzhen, southern China, part of the prestigious Peking University. Almost all these workers are internal migrants, living far from their home villages and families and rarely returning. 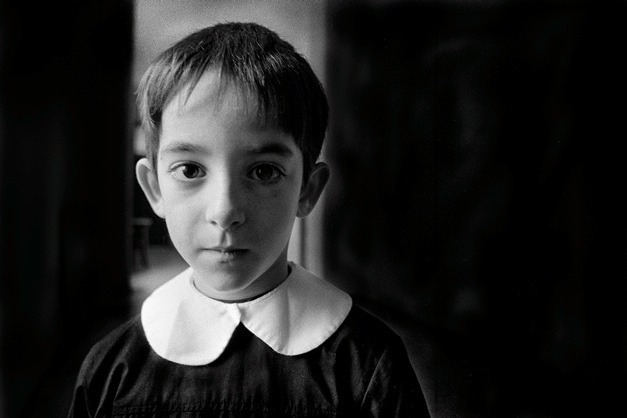 Home, family, and connection to place and culture of origin are central to the human condition. However, displacement and migration are increasingly the norm for reasons ranging from war to economics to government policy. These conditions often occur within countries as well as between them. It is my belief that one of the greatest aspects of "being human" is our capacity to love one another. As much as we try to be in the present, show our friends how much they mean to us and truly love our partners, life and its attentive disorders have a way of sidetracking this essential goal. When we lose a dear friend it hits us to ask ourselves, did he know how much I loved him. Roy and his family grew up with Sadie and me and our family. We were nine human beings on this earth that shared time -- a lot of important and beautiful time. 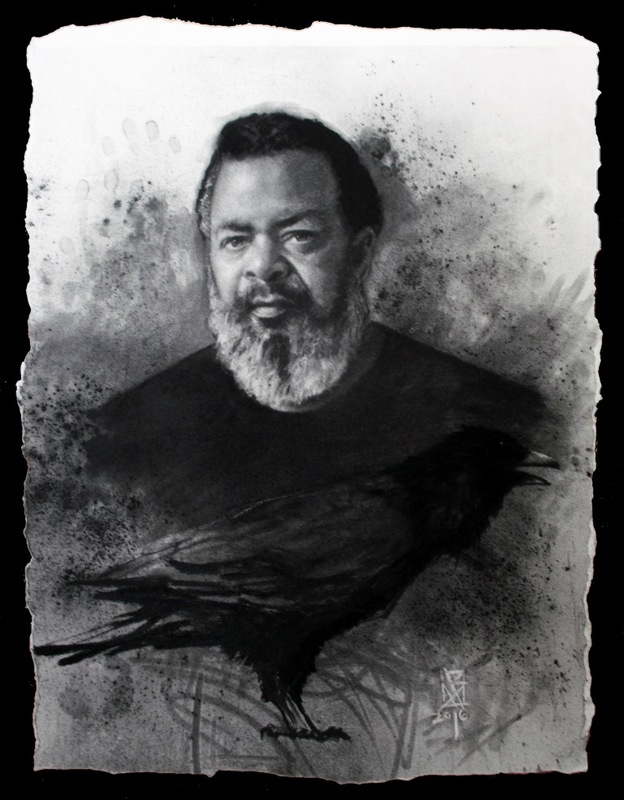 He said he always identified with the crow; intelligent, watchful, cunning, practical and black. And as I consider, how far away from the other species are we really? In this way, as he lived his life in close proximity to the natural world with total respect for it, with love for everything and everyone within his orbit, he was being true to himself -- in the best sense, he was being human. 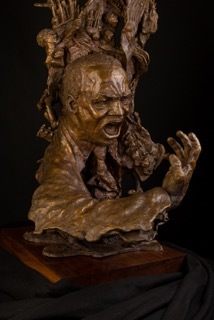 This sculpture, which I call “Prophetic Thunder”, shows Rev. King preaching with passionate intensity. Rising up in a flame behind him are nearly 50 reliefs of figures and events that reflect the issues of racism, poverty and militarism, which moved him deeply throughout his life. “Prophetic Thunder” grew out of a visit of high school students to my studio. After showing them the beginnings of my portrait of Rev. King, I realized how eager they were to learn about the Civil Rights Movement and about Rev. King himself. I wanted to show a side of him that is rarely seen. I wanted to show in his intense face and in the strong gesture of his hand, his passionate response to the tragedies brought upon oppressed people everywhere.Gandhi’s thinking and nonviolent struggles in India. Raised within the black church he was deeply influenced by this rich tradition. All of these sources of inspiration are reflected in this sculpture. 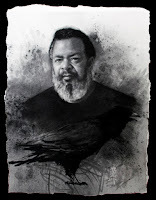 And I wanted to show in the flame behind him images that recall the horrors of slavery, images that show the struggles and tragedies during the Civil Rights Movement, and images of people who inspired him in his fight for freedom, justice and peace. In considering what it means to be human I kept coming back to stories. We tell our story of joy and sorrow, what happened last week, or ten years ago as a way to make sense of our experiences. 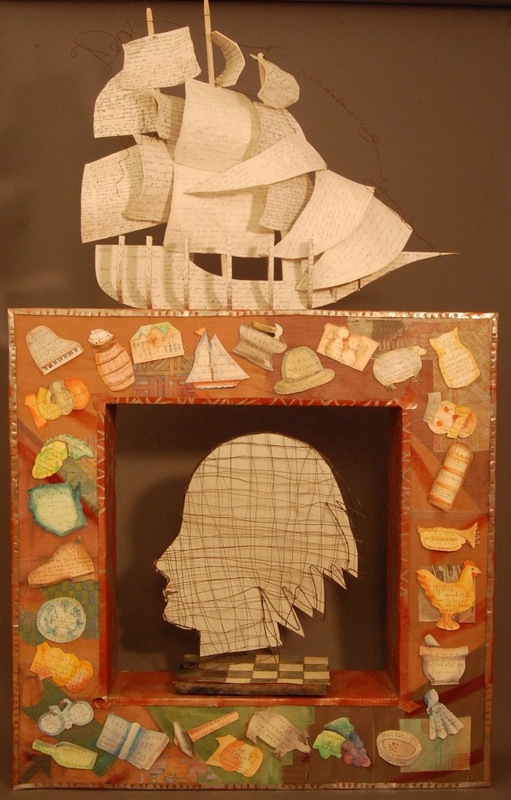 “Weaving The Present” is a collection of immigrant and ancestor immigrant stories. I asked friends and strangers to share their immigrant story with me and used the details to create this piece. The ship on top references the letters that crossed the ocean, for many the only contact they had with family and friends after emigrating. Stamped on the metal are the names of ships, many of them slave ships. 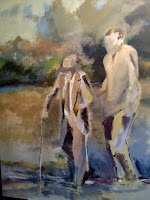 When I begin to plan my art I seek a story that can lead me in a direction I might not have thought to go. 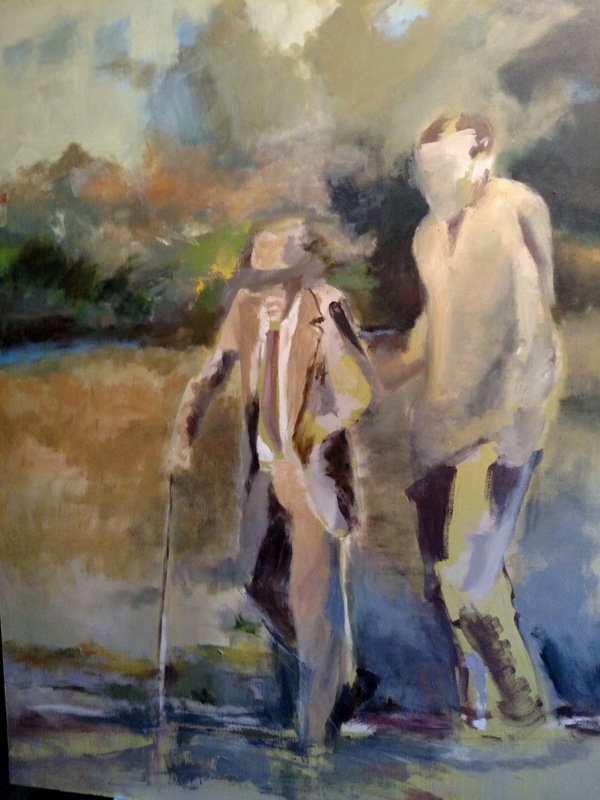 The needs of the story suggest the components of the piece. When planning “Weaving the Present” I knew I wanted to collect immigrant stories but wasn’t sure how to present them. Once I thought of paper attached to screen I was on my way. To me, being human is the human attribute of religion, and being connected to a higher power. correct, reintroduced in Woodrow Wilson’s first year as president which was, coincidentally, the same year our mother was born). Years after official segregation ended, communities of color and low income communities in general still suffer the effects of institutional neglect and a market driven definition of development. In this image, our uncle is being helped by a young neighbor to a protest meeting called to challenge the development of a major league baseball stadium in the middle of a vibrant, if modest, community. Offering a helpful hand – young man to old, adult to child, citizen to citizen – seems to be at the core of what it means to be human. president which was, coincidentally, the same year our mother was born). Years after official segregation ended, communities of color and low income communities in general still suffer the effects of institutional neglect and a market driven definition of development. 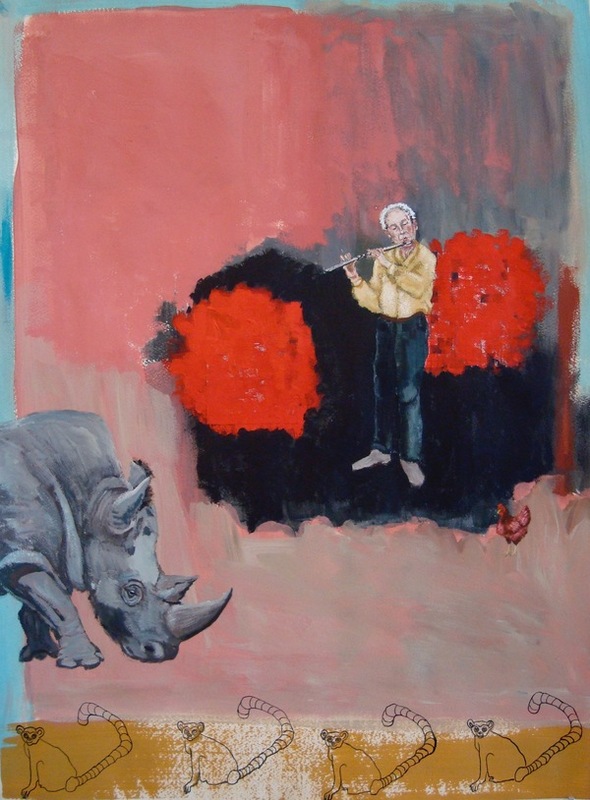 Some of the themes that arise in my paintings are: finding freedom in difficult circumstances; animal and human co-existence; and the experiences of work, desire, regret, and joy. Through imagination, playful creation of abstracted spaces, and color composition, I attempt to show an inner world that is mysterious and noble . . . as dreams and life often are. What better way to talk about Being Human than to share an image of the place where we ALL came from. 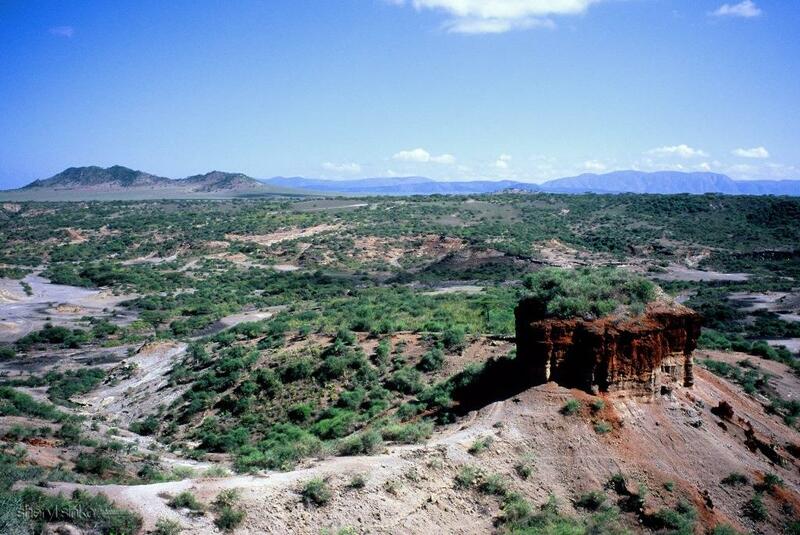 This place, in the Great Rift Valley in Tanzania is where the earliest evidence of our human ancestors was found. Oldupai is a Maasai word meaning wild sisal plant and the plant grows in the area. We typically hear it pronounced Olduvai, however, that is a misspelling of the Maasai word. It was a humbling experience to view this majestic site and feel connected. utility, both for our prehistoric ancestors and for ourselves today. 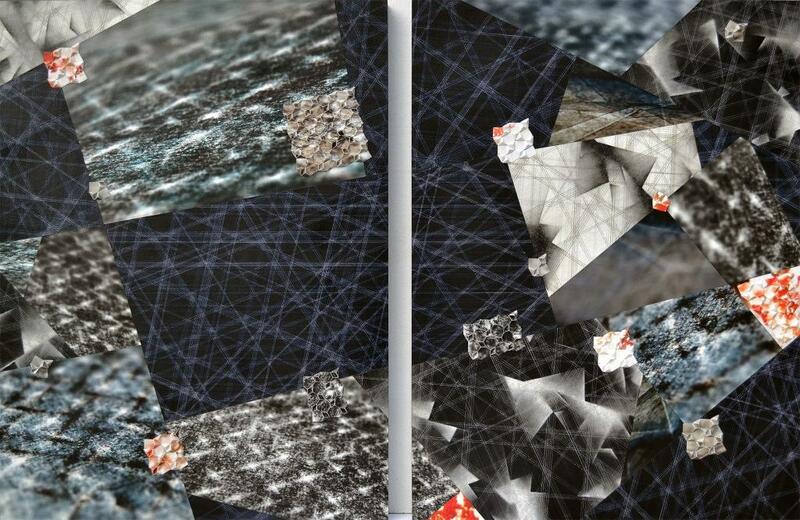 Mark making, the recording of one's own presence, is an integral but ineffable part of being human. on our fellow humans within it. To dance is human. Dancing is one of the most honest expressions. The synergy, the magic that happens when music moves us to sway and twirl and rock to the beat of drums, of fiddle -- it's primal. This is why I decided to include a photograph of a dancer/dancing…..as my contribution to this exhibit I asked Sally Grubb If I could photographer her and her husband David for this piece. 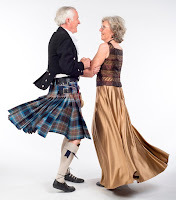 Sally Grubb has been a Scottish dancer most of her life. 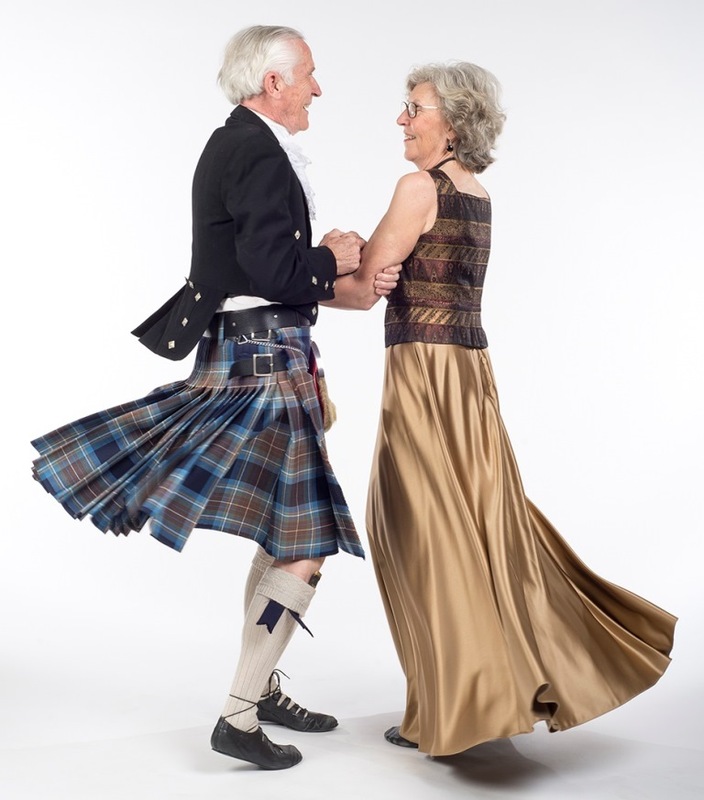 Sally and her husband David Grubb have been Scottish Dancing since they were both young and, together, since they were married. It has been intricately woven into their lives. This exhibit will be on display through the end of February 2017. For more information please contact sgrubb@tcpl.org.